At Summers, Rufolo & Rodgers, we provide experienced legal representation to clients from the Chattanooga area, and throughout Tennessee and North Georgia. A trusted pillar of the Chattanooga community since 1969, our law firm has helped numerous clients in legal matters involving personal injury, asbestos and mesothelioma litigation, criminal defense, Social Security Disability (SSD), workers' compensation and union-side labor law. In 1969, after leaving the Hamilton County district attorney's office, Jerry H. Summers founded the law firm of Jerry H. Summers, P.C. Over the years, the firm name has changed as other attorneys have gone into practice with Jerry. In 1985, the firm became known as Summers & McCrea, P.C. In 1987, the firm's name changed to Summers, McCrea & Wyatt, P.C. Since 1995, the firm has been known as Summers & Wyatt, P.C. Most recently, in 2014, the firm has transitioned to Summers, Rufolo & Rodgers. Currently, our firm is comprised of six attorneys and a dedicated support staff. Every member of our firm upholds the highest standards of professional and business ethics. Our practice is dedicated to helping individuals who face difficult, life-changing legal matters, from those suffering injuries caused by negligence, to people who have been arrested and charged with DUI, drug crimes, white collar crimes and other criminal charges. Whatever legal matter you face, our lawyers will work with you closely to help you seek the most favorable outcome possible. We seek favorable results through negotiation and settlement when possible. We are always prepared for litigation, however, when it is in our clients' best interests. Summers, McCrea & Wyatt, P.C. Plumbers & Steamfitters Local 43 J.A.T.C. At the law firm of Summers, Rufolo & Rodgers; we handle a wide range of legal matters for clients from the Chattanooga area, throughout Tennessee and North Georgia. Trust us with your personal injury, criminal defense, SSDI or workers' comp issue. If you or a loved one has been injured due to the negligence of another, the Chattanooga attorneys at Summers, Rufolo & Rodgers; are here to offer experienced advice and advocacy. 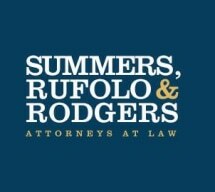 At Summers, Rufolo & Rodgers; our Chattanooga lawyers represent asbestos victims from Tennessee, North Georgia, throughout the southeast and nationwide. The criminal defense lawyers at Summers, Rufolo & Rodgers; have extensive experience handling criminal defense cases for clients from Chattanooga, throughout Tennessee and North Georgia. If you have been injured on the job, the Chattanooga workers' compensation lawyers at Summers, Rufolo & Rodgers; can help you seek the benefits you need to pay for your medical bills and a portion of your lost wages.